We have stayed at all the Walt Disney World resorts several times and we thought what a great topic for an article and podcast. As past Walt Disney World Castmembers we have played, stayed and worked all over Walt Disney World. We have personally stayed at every Walt Disney Resort several times, so our Disney hotel reviews are all from first hand experience. Be sure to also listen to our Disney podcast as it covers some of our recent Disney World resort stays and reviews. We have also stayed off property at Walt Disney World and will cover those hotels in another article in the future. 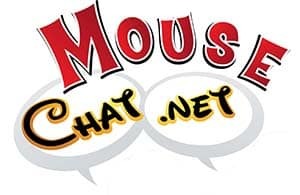 Be sure to listen to our Disney World Resort Review Podcast. We stay at the Walt Disney World Resorts many times each year and put together a Disney Podcast that you can listen to on your way to work, at the gym, etc. 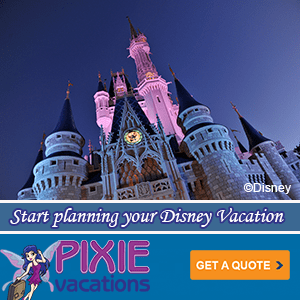 Value – Disney World Value Resorts are your hotels offer fantastic value with standard amenities. These on property Disney World Resorts offer a nice pool, smaller rooms, motel style buildings with the entry opening to the outside. A central food court, Disney shop and check in area. 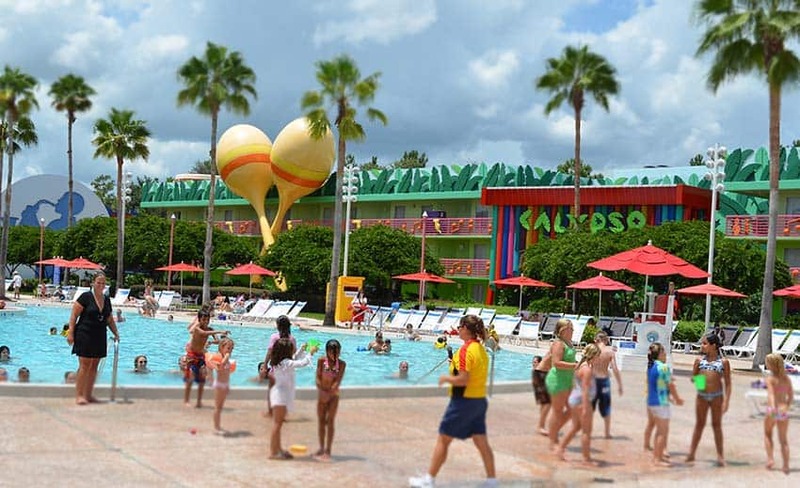 Disney World Value Resorts start around $100 in off season per night. These hotels are clean and perfect for a family of four or less, although four people in a value resort room I personally think is pretty tight. Moderate – Disney World Moderate Resorts add some nice extras to the basic amenities of a Disney Value Resort. The pools at a Disney moderate resort are themed a little better and have a water slide. They also have a kids splash area and a table service dining location in addition to the food court. The rooms are larger than a Disney value resort too. Deluxe – Disney World Deluxe resorts are spectacular. The rooms are larger, the lobbies are places I personally enjoy sitting and relaxing and people watching. There are several restaurants to choose from. And for most of these resorts you are located very close to one of Disney World four main theme parks which makes transportation easier. These resorts also have interior hallways and some rooms have balconies and views. Deluxe Villas – Disney Deluxe Villas are the step up from Disney World Deluxe resorts, Deluxe Villas are usually located at an existing Walt Disney World Deluxe resort. So you get the amenities of the Deluxe Disney World Resort, but your room or building has studios, one bedroom, two bedroom and grand villas. These accommodation are like a home away from home, with 1 bedrooms and above offering a full kitchen, laundry, spacious living quarters including a kitchen area, living room, impressive bathrooms, DVD players, and the list goes on. You can bring or have groceries delivered and you have a full size refrigerator, oven, stove, microwave and everything you need to prepare meals. I often spend the extra money for a Disney Deluxe Villa 1 bedroom or two bedroom and then save on eating out and do laundry a few times which allows us to pack less and save on airline luggage fees. I like certain Disney World resorts in each category. Everyone has a favorite so don’t discount the hotels I do not personally spotlight. Some Disney guests have been camping at Fort Wilderness all there life and some have been staying at the Polynesian Resort since the Magic Kingdom park opened. The great thing is there are some many unique Disney World Resorts at all different price points that you can try a new one whenever you like. I have two Disney World Value Resort picks. 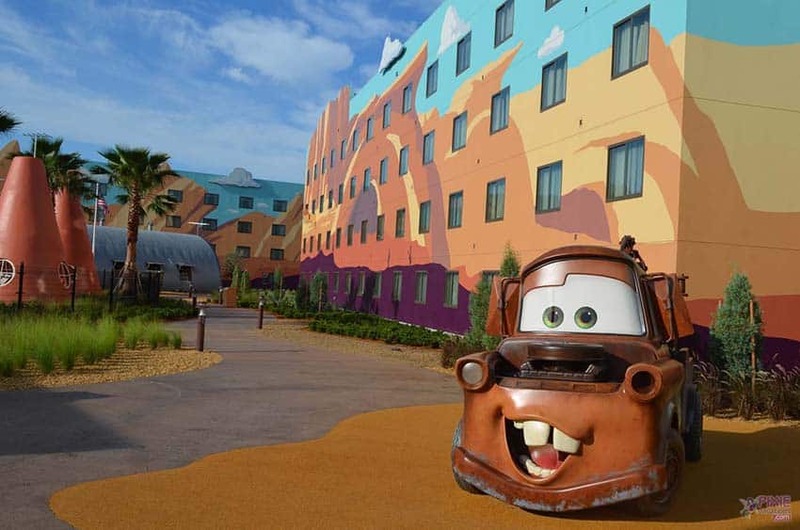 The reason is because Disney World built the Art of Animation Resort and that resort is sort of between a Value and a Moderate Disney World Resort category. Art of Animation is the newest Disney World resort in this category and also this Disney World resort has family suites. Family suites solve the issue of where to stay at Walt Disney World (WDW) with families of 5 or more. Before Art of Animation we would book two rooms for larger families, which is still a great option, but you can all stay together at Art of Animation in a family suite. The pool areas at Art of Animation are nicer that the Disney value resorts. I like the food court better at Art of Animation as it has more selection and some healthy options too. And I think the bus transportation is better as it seems to not share bus routes with other resorts when I have stayed there. So you do directly to and from the park you want to visit without stopping at other Disney resorts to pick up or drop off guests. What you need to consider is the Art of Animation Family Suite price vs two standard value rooms or vs. staying at a Disney Moderate resort in a room that sleeps five. Often times you can get two rooms for less money than a Art of Animation family suite. 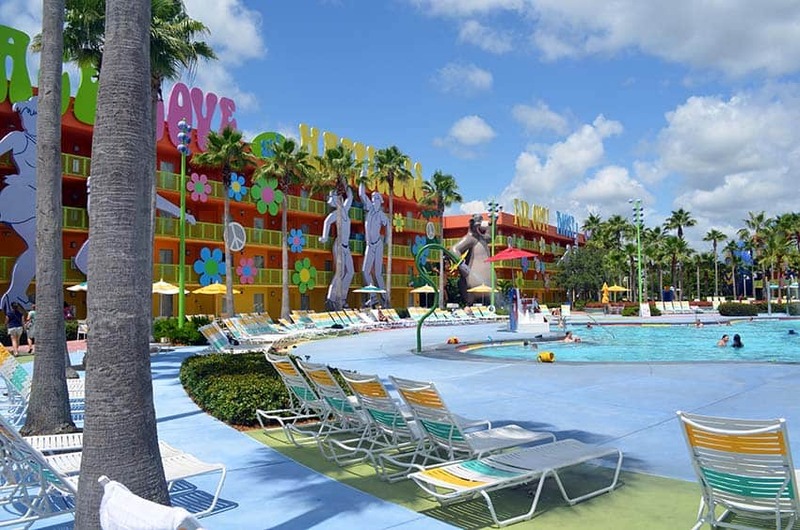 For a true Value Resort we like Disney’s Pop Century Resort. I often stay here when I want to stay on Disney World property and not spend a lot of money on my room. Pop Century is clean, and the bus transportation is good. If I am meeting friends and spending most of my time in the parks or in conferences I will often book Pop Century for myself. If you want a nicer resort with more amenities I would book a Disney moderate or Disney Deluxe Resort instead. But often times I find myself with no time to enjoy the resort itself and Pop Century fits what I am looking for perfectly. Sorry I have to give you TWO of my favorites for the best Disney World moderate resort. My top pick is Port Orleans, French Quarter. This resort has the best themeing out of all the Disney World moderate resorts. IF you want that French New Orleans feel with moss covered oak tress lining the New Orleans streets, this resort is for you. French Quarter also is the smallest Disney World Moderate Resort. This is nice for many reasons. First you don’t have to walk forever to get to your room from the bus stop. You also don’t have to stop at 4 resort bus stops within your resort, there is just one main bus stop at Port Orleans French Quarter. Everything is very close from the lobby, bar, food court, pool and splash area and the maria too. Some special extras are horse drawn carriage rides that you can book. There is also boat service to Disney Springs and the boat ride to and from Disney Springs for shopping or dinner is very nice. My second choice for a Disney World moderate resort is Coronado Springs. This Disney Moderate resort has a convention center so it caters to business travelers. This gives you some extra amenities that other Disney moderate resorts don’t have. First there is a full size lounge / bar. There are also some room categories here that offer business lounge access. This is nice for breakfast or a drink and snacks when you get back from the parks. There are not that many rooms that comes with lounge access and they book up quickly. Of course the Coronado Springs rooms with lounge access are more expensive. If you are looking for a really nice full service concierge level type lounge with more selection you will have to book a concierge level room at one of Disney’s Deluxe Resorts for that level of service. 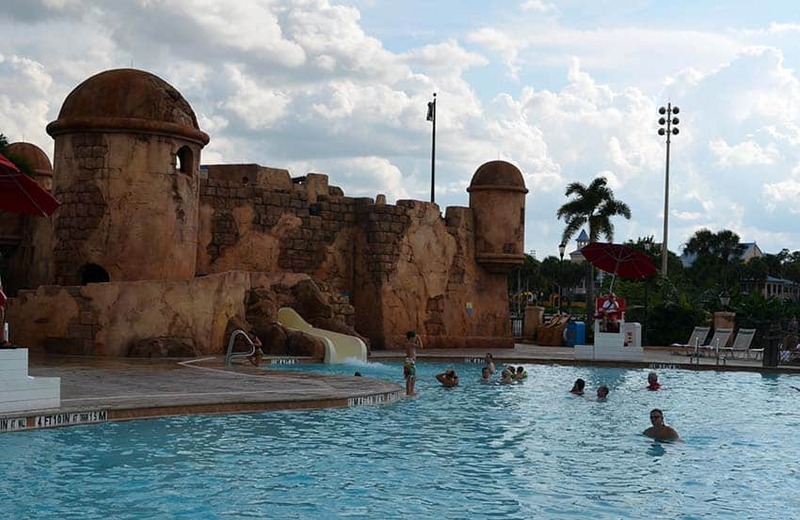 Some people do not like Disney’s Cornado Springs Resort because of it’s size. The resort is massive and has several bus stops an walking to your room and back to the main lobby can be a good 10-15 minutes from some room locations. The grounds are beautiful, but walking in the rain or heat or carrying a sleeping 4 year old for 10 minutes is not ideal. This is a difficult one. I love all of the Disney Deluxe Resorts. I worked for many years at Disney’s Grand Floridian Resort, so of course this is my top choice for a Disney World deluxe resort stay. 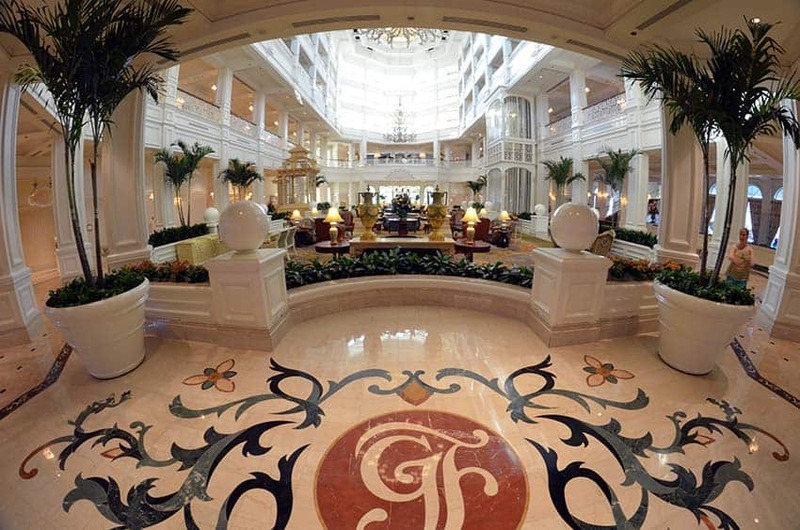 The service, the lobby, the grounds, restaurants, everything is top notch at Disney’s Grand Floridian Resort and Spa. 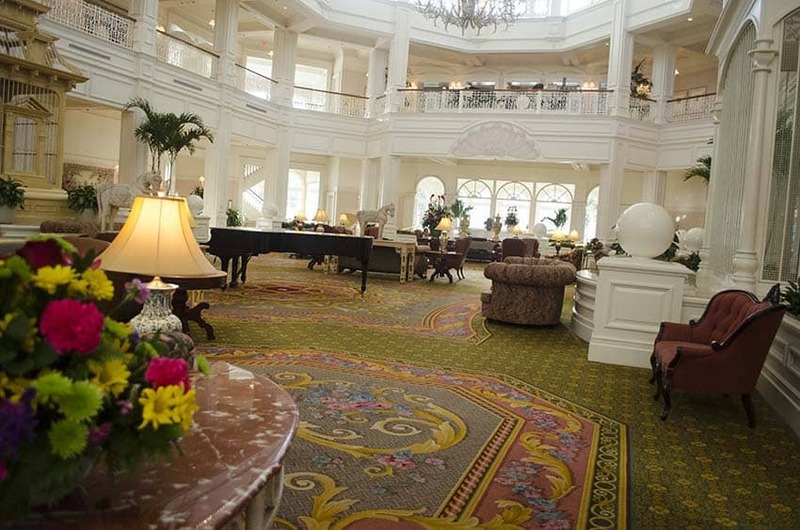 I enjoy sitting in the lobby or at Mizner’s Lounge and just relaxing after a day at the Magic Kingdom. Watching the fireworks from the hotel, jumping on the monorail or boat and being at the Magic Kingdom moments later is also great. But all Disney World deluxe resorts are fantastic and each one has a unique advantage. The Polynesian Village Resort I love the tropical feel and going to Trader Sam’s for a drink or the Volcano pool during the day is a must do. The Contemporary Resort is within walking distance to the Magic Kingdom, the EPCOT deluxe resorts are within walking distance to EPCOT and Disney Hollywood Studios and The Animal Kingdom Lodge lets you wake up to a savanna outside your room everyday. I literally wake up and drink a cup of coffee and watch giraffes outside my room every morning at the Animal Kingdom Lodge. Now that’s pretty cool! 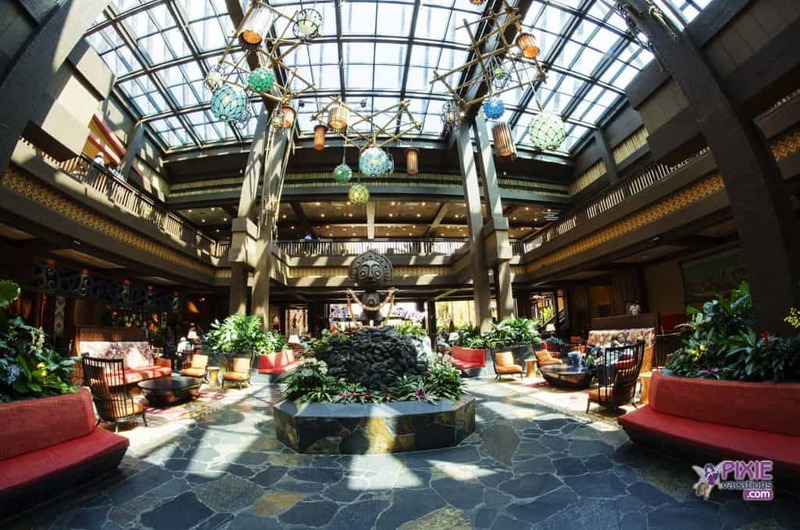 Disney Resort Hidden Gem: Disney’s Wilderness Lodge is not priced as a Disney Deluxe resort so you can save some money, but it has all of the amenities of a Disney Deluxe Resort. Wilderness Lodge is a wonderful choice in November and December when the Christmas decorations are up. The Wilderness Lodge is so homey and relaxing and during the holidays it will get you in the Christmas spirit. I would recommend against the Copper Creek Studios. The decor in these studios is not very appealing. We stayed in a studio and actually asked to change resorts to the Polynesian studio rooms which are very nice. So, just don’t book a Studio here and you will love the Wilderness Lodge. These resorts are connected to a Disney Deluxe Resort and again my top choice here is the Grand Floridian Villas. I have stayed at the Hyatt in Sydney across from the Opera. I have stayed in Paris at some four figure a night hotels but the Villas are like suites with the bonus of a full kitchen and laundry. 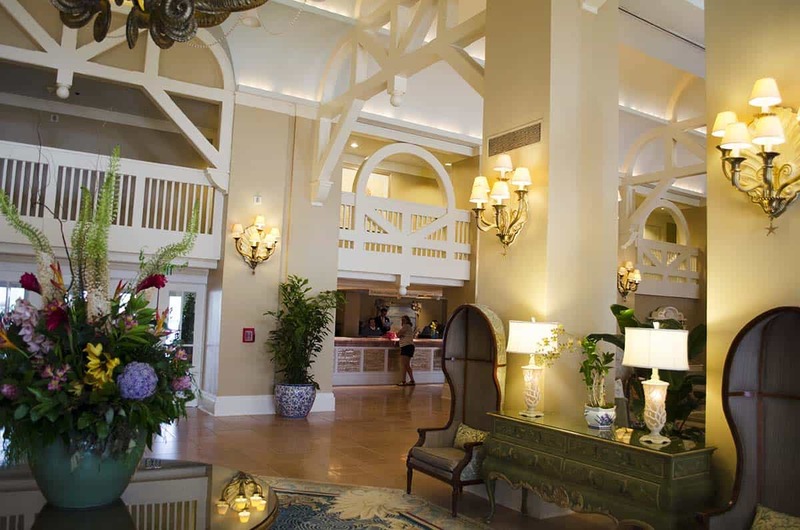 The Grand Floridan Villas are the most elegant rooms I have stayed in. The bathroom has a campaign tub, televisions in the mirrors and the decor is beautiful. I could live here. Just like the Disney Deluxe Resorts, the Disney Deluxe Villas are all nice and each one has advantages over another. You can’t go wrong with a Deluxe Villa at Walt Disney World. For this section I want to go over every Walt Disney World Resort with you and cover the Pros and Cons of each. This will help you pick the best Disney World hotel for your Disney vacation. Let’s start at the Deluxe Villa and Deluxe Resorts and work our way down the list. Animals! Where else can you open your balcony and see a Savanna? It’s awesome! Look kids giraffes! No really there are giraffes outside our room! This resort is stunning. The lobby of both resort check in areas is like nothing I have seen anywhere and there are little nooks to sit by the fire, enjoy a drink, or read a book. Animal Kingdom Lodge has an outside Savanna viewing area that takes you past a fire pit and out into the Savanna. There is a guide from Africa there to answer your questions as you gaze out onto the Savanna. There is also nighttime viewing, but morning I think is one of the best times to see the wildlife. Each Deluxe Resort has extra resort activities but Animal Kingdom Lodge and Kadani takes this one step farther with activities and tours that involve culture and learning about the animals. The pool areas at both Animal Kingdom Lodge and Kandani Village are marvelous. Zero Entry, water play areas, lots of seating, a tropical paradise. You can even see some animals from the pool area at certain times. This is almost like a mini water park. This resort is close to the Animal Kingdom Park. If you have a car you can park under your room in the covered parking garage at Kadani Village and just take an elevator up to get to your Deluxe Villa. The lighting. I know it’s weird. But these rooms come to life at night with the dim lighting. It makes the lobby and dining areas very inviting. Concierge Level. 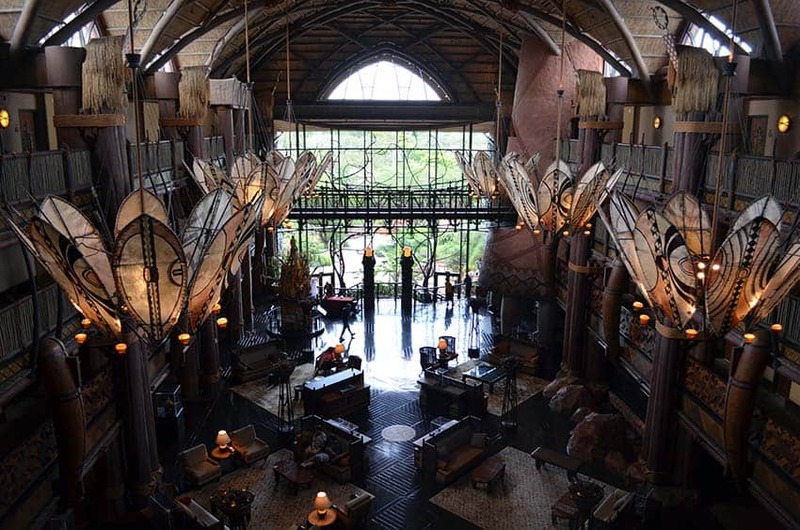 The rooms with Concierge access get you an amazing view from the top level in the Animal Kingdom Lodge of the lobby below while you enjoy a little breakfast or some desserts at night. I’m in love with the cappuccino self serve machine here too. Animal Kingdom Lodge is at the edge of Disney property. It can take a while to get to the Magic Kingdom from here. I would stay at a monorail resort if I was going with small kids and spending most of my time at the Magic Kingdom. Your only mode of Disney transportation from this resort is Disney Bus Service or your own car. Kadani Villas is the Deluxe Villas part of this resort and it’s beautiful but getting to the Animal Kingdom Lodge from Kadani Village is kind of confusing. I like to walk but walking between the two I always get lost. There is a resort to resort shuttle but I really don’t like waiting to go just next door. Size. These resorts are large. I have stayed at the very end of Kadani Village in a Grand Villas. It’s stunning! but the walk to that room was over a 1/4 mile. Now if you have a car you can park under your room in the parking garage which is nice if you are doing a grocery run. Standard view rooms – You don’t want to stay at Animal Kingdom Lodge and not book a savanna view room. Sure you can see the animals outside the lobby, but I enjoy sitting on the balcony and watching them as we get ready or after we get back from the parks. Looking at bell services or a parking lot in a stand view room is not what this resort is about. Disney’s Beach Club Villas are my home away from home. Yes I love the Grand Floridian but I find myself most of the time at Disney’s Beach Club Villas. The pool is my favorite pool at Walt Disney World. The pool has sand bottoms, a beach area, a small lazy rive section and hot tubs tucked away in rocky waterfalls. The slide is an old shipwreck. Best pool at WDW! The Beach Club lobby is relaxing, Even the smell of the lobby is wonderful. I even made a candle for my home that smells like the Beach Club to remember this resort. Beaches and Cream is perfect for an ice cream dessert and right by the pool. Try the Kitchen Sink if you have a large family. EPCOT! Disney’s Beach Club resort is right outside the back entrance to EPCOT. This makes Disney’s Beach Club resort perfect for events like the International Food and Wine Festival. You can enjoy EPCOT, walk to your room and then go back later for a romantic dinner and fireworks. Disney Hollywood Studios is a short 15 minute walk or boat ride away. There is really not anything I can think of that’s not wonderful about the Beach Club Resort. It is a bus service resort or boat / walking resort which is very nice. I will often drive to the Magic Kingdom in my own car from here so we don’t have to wait for the Disney bus service. I expect better bus service at deluxe and deluxe villas Disney resorts and for the money guests are paying I don’t understand why the bus service often stops at other Disney resorts when some Disney Value resorts get dedicated buses. Just like the Disney Beach Club, Disney’s Boardwalk Inn has many of the same wonderful features and amenities. 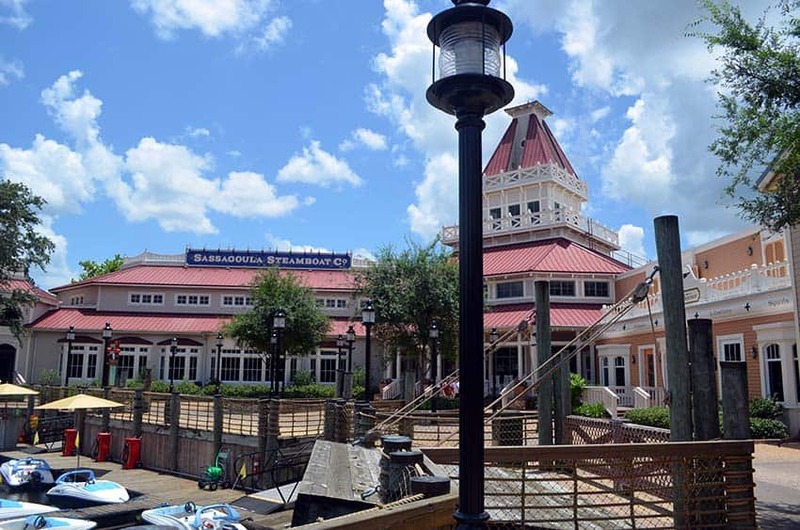 Disney’s Boardwalk Inn is on a wooden boardwalk with shopping, dining, and night life. This is what makes this resort so much fun. The Boardwalk Inn is also an EPCOT resort and you can walk or take a boat to EPCOT and also to Disney Hollywood Studios. The rooms are very nice at Disney’s Boardwalk Inn and we know of some hidden special rooms that are adorable at this resort. We have even had one client that we booked get upgraded to the three bedroom suite here and they took us on a tour of their suite. It was amazing! Dining has improved here with more quick service options now on the boardwalk. There is a tucked away lounge inside the boardwalk inn resort that is fun as well as AbracadaBAR on the boardwalk which is a cool magical place for drinks and appetizers. The pools clown slide fits the amusement park boardwalk theme, but some people really don’t enjoy it. Self Parking is a ways away and a ways to walk into the resort especially if it’s hot or raining. Some rooms can be a long walk from the main lobby, but it is indoors and air conditioned. When you think of Walt Disney World hotels the first thing I see is the Contemporary Resort with the monorail going thru it. It’s pretty cool! The rooms are nice and well contemporary. 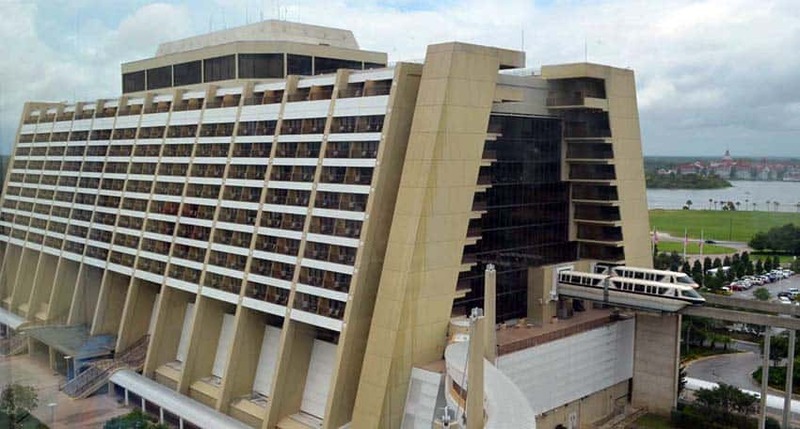 Bay Lake Tower and the Contemporary are both the best resorts at Walt Disney World for families with little kids that will be spending the majority of their vacation at the Magic Kingdom. The resorts are within walking distance to the Magic Kingdom and in 10 minutes you can be in the park. I have walked this many times and we love to go back to the Contemporary or to Bay Lake Tower for an afternoon nap with the kids. Happily Ever After Fireworks can be seen from your Firework view rooms or from outside the resort. If you have dinner at CA Grill there is a viewing deck up there with perfect firework views. You are on the Walt Disney World Monorail. This gets you right into the security check at your hotel so you avoid the long security check lines at the Magic Kingdom. The monorail is also a fun way to get to the Magic Kingdom. The pool at both resorts is not my style. It’s modern but not fun. The Contemporary lobby. The lobby is not inviting like other deluxe resorts. Even the main concourse seems dated and loud. The bathrooms lack counter space especially the Bay Lake Tower Studios. The Grand Floridian is a Disney monorail resort which gets you though security quickly at the resort when heading to the Magic Kingdom. You are also just one stop away from the Magic Kingdom. The boat ride back is also a good option and a direct way back from the Magic Kingdom to the Grand Floridian. This way you don’t have to do the entire monorail loop on the way back. You can have dinner at Narcoosees and watch the fireworks from the Magic Kingdom, or just go to the beach or boat dock to see them. There is a fulls service spa that was build as a stand alone spa by the Disney wedding pavilion that gets great reviews. I love the lobby, the band at night and just walking around this resort after a nice meal. Victoria and Albert’s is five diamond rated and one of the best dining experiences you will ever have. 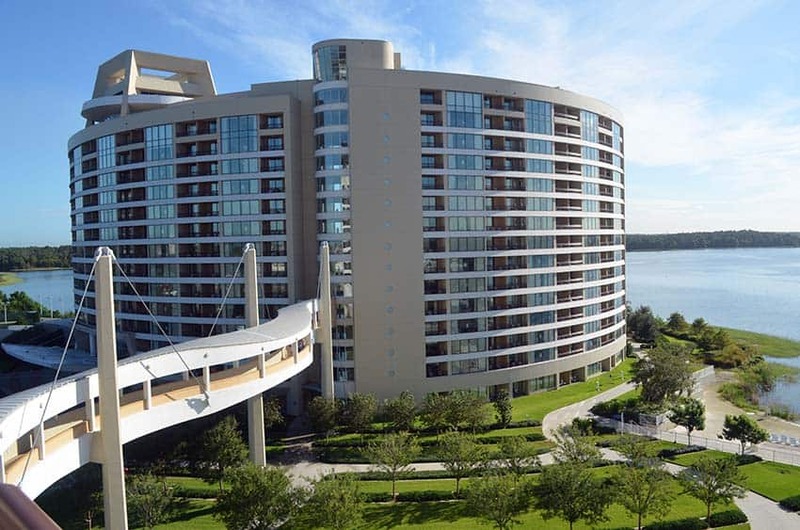 You can’t walk to the Magic Kingdom from this resort like you can at the Contemporary Resort. This was Disney’s first Deluxe Villa resort and the rooms are massive. If you want a big kitchen, livingroom, bedrooms and more this resort has the large condo style homes. Old Key West has boat service to and from Disney Springs with makes for a nice ride and extra dining options. I love the Key West tropical theme here. UPDATE: as of July 2017 I am getting complaints from guests that the resort rooms need to be updated. This resort gets the most guest complaints. I think it is because the rooms new hard and soft goods updated and once the refurbishment takes place I would look into booking this resort. The tropical feel takes me to Hawaii instantly at this resort. I love that laid back vacation feel and tropical plants, tiki torches, flowers and tiki bar vibe. After the pool spend the evening at Trader Sams, one of the coolest lounges you will ever see. You can get a Dole Whip and enjoy the sun. The rooms have a tropical buy modern feel and that’s my style for a vacation. You are on the Disney World monorail and there is also a boat to and from the Magic Kingdom. You can take a nice walk over to the Grand Floridian Resort and Spa along the water. This is one of the best resorts to watch the fireworks from, especially on crowded Magic Kingdom nights like the 4th of July. The seating area while waiting for dinner at Ohana is crowded and not a relaxing environment. Some rooms that are close to the Magic Kingdom Ferry Boat Launch have noise issues with the ferry boat horns that sound every time the boats come and go to the Magic Kingdom. This is a deluxe Villa property with studios, 1 and 2 bedrooms and also grand villas and tree houses. The property is more of a condo style. You are right next to Disney Springs and can walk there is you like. This has shopping, dining and night life. The two pools at this resort are hidden gems and clients love these pools. the largest pool and largest water slides are here. The bus service makes several spots before you even get out of the resort. It takes a long time to get to the Disney parks and back to your room when using the bus service. You need a car in my opinion if you are going to stay here. Disney’s Wilderness Lodge has a amazing theme, with a rustic lodge feel that makes you say WOW when you walk into the lobby. The hot springs that starts in the lobby makes its way out into the stream and to the pool area which is lovely also. This is a perfect resort for the holidays. The lobby at Wilderness Lodge is all done up for Christmas and just sitting by the massive fireplace in a rocking chair is a nice way to end the day. 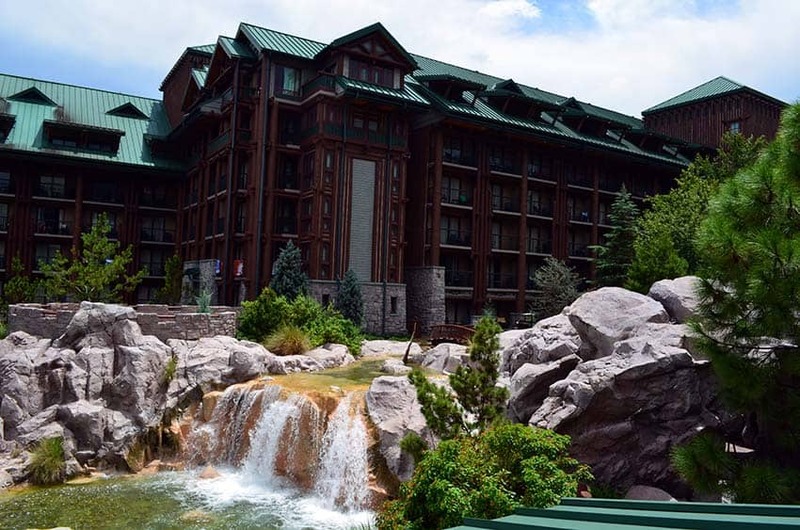 Disney’s Wilderness Lodge is a Disney World Deluxe resort but it is priced lower than other Disney deluxe resorts. The resort is isolated and there is boat and bus service but it’s not convenient as sometimes it is shares with Fort Wilderness. Disney’s Yacht Club Resort is an EPCOT resort so you can walk or take the boat to EPCOT. This is really nice for a quick dinner in EPCOT and then come back to the Yacht Club to relax. 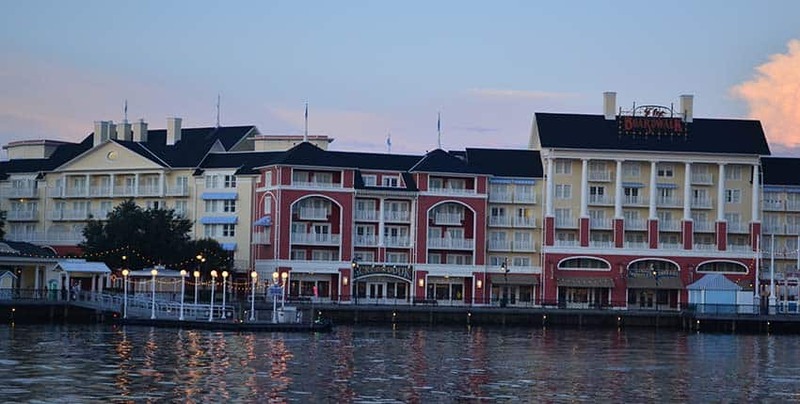 The Yacht Club is across from Disney’s Boardwalk and this is a nice walk to dining, shopping and nightlife. You can walk or take a board to Disney’s Hollywood Studios. Both are nice and it’s about a 15 minute walk alongside the waterway. This resort shares the amazing pool with Disney’s Beach Club and you can walk from the Beach Club to the Yacht club. Yachtsman’s Steakhouse is one of my favorite places at Walt Disney World for a steak. The lobby at Disney’s Yacht Club seems dark and not inviting. The overall feel of the Yacht Club is not my personal favorite. I would rather stay at Disney’s Beach Club which is right next door and basically connected to the Yacht Club Resort. UPDATE: Disney’ Caribbean Beach is undergoing a large remodel. There is a new food court / shopping area going in. This is happening in 2017 / 2018. I would avoid the Caribbean Beach Resort until this remodel is complete. The resort is very well landscaped and has a Caribbean feel. The Caribbean Beach Resort has a nice pirate themed pool area. Disney’s Caribbean Beach resort requires planning to try and get into a Caribbean Village that is close to bus transportation, the pool and the main area / food court. You can end up far away from these areas and it can be a long walk. Pirate Rooms – The idea of Pirate themed rooms is cute, but the beds in these Pirate rooms I get complaints about how uncomfortable these are all the time. You have to take a bus to any Disney destination or drive your own car. UPDATE: Disney’s Coronado Springs is under going a large remodel. There is a new multi story building being added and construction is in 2017 – 2018. I would avoid this resort until the remodel is complete. The grounds and landscaping at Coronado Springs is one of my favorites for a Disney World moderate resort. The pool at this resort is probably the best Disney World pool at a Moderate resort. It’s basically an island with all sorts of activities, a massive Mayan Ruins slide is the center piece. This pool always seems active. Rix Lounge is nice and Coronado Springs is the only Disney moderate level resort with a lounge of this size. Also this is the only moderate resort at Disney World with a fitness center. Fitness centers are normally only at the deluxe Disney resort level. You can book a room with business lounge access which is nice for a small breakfast to start your day. This resort is massive like Caribbean Beach. You need to work with a travel agent to pick the best location so you are close to bus transportation and the main building. The resort is small and quaint. The New Orleans theme is nice and you feel like you are walking in old New Orleans. The kids love the pool and dragon slide. There are extras like a water taxi to Disney Springs. There is one main bus stop. You main mode of transportation, like all Disney Moderate and Value Resorts, is by only Disney bus service. I love the feel of this resort but guests usually prefer French Quarter because it’s a smaller resort with less walking and better bus service design. The food court at Port Orleans Riverside is nice and has an inviting sitting area. The ole swimming hole is a fun pool area tucked away in the middle of nature under a giant oak tree. Bus service is can be challenging at times because there are several bus stops due of the resort size. You just need to keep this in mind that you will make several stops along the way. 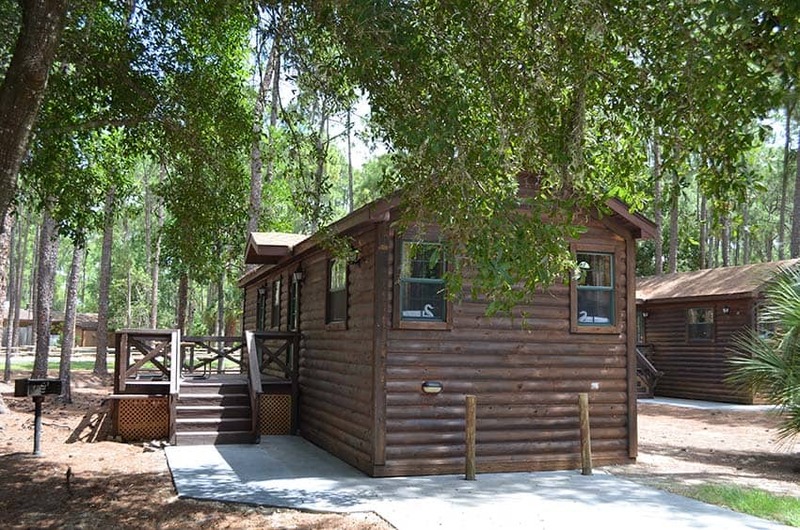 First, this resort offers camping to cabins at all different price points. Our Disney Resort Review Podcast that is part of this article covers the Fort Wilderness Cabins as we just stayed there. The resort is very relaxing and offers horseback riding and many other outdoor activities. I love coming back from a day at the Disney parks and just relaxing back at the lady back atmosphere at Ft Wilderness. I would do a week at this resort and just unwind while having a few Disney park days added in. I also love this resort during the holidays because campers will decorate their camp sites for Halloween and Christmas. If you are staying at this resort it can take a while to get to the Disney parks from here. You have to use an internal bus system that stops at several camp site pick up locations and then finally drops you at the front of the resort. From there you have to wait for the Disney park buses. That can take up a lot of time and make it difficult to make dining reservations on time and requires that you plan far ahead to give yourself over an hour for transportation time. This is the newest Disney value resort and I like the extra features you get here. I would call this a Value Plus Resort. The family suite are a nice room category for families of 5 or more and I love the different themed areas like Cars at Art of Animation. You can learn to draw in the lobby with an animator at scheduled times during the day. This Value Plus resort has inside corridors which is much nicer than the motel style rooms at the other value and moderate Disney resorts. You should check the price of an Art of Animation Family suite VS booking two rooms at a value or moderate resort to get a comparison. The Disney All Star Resorts are three separate resorts all with different themes. 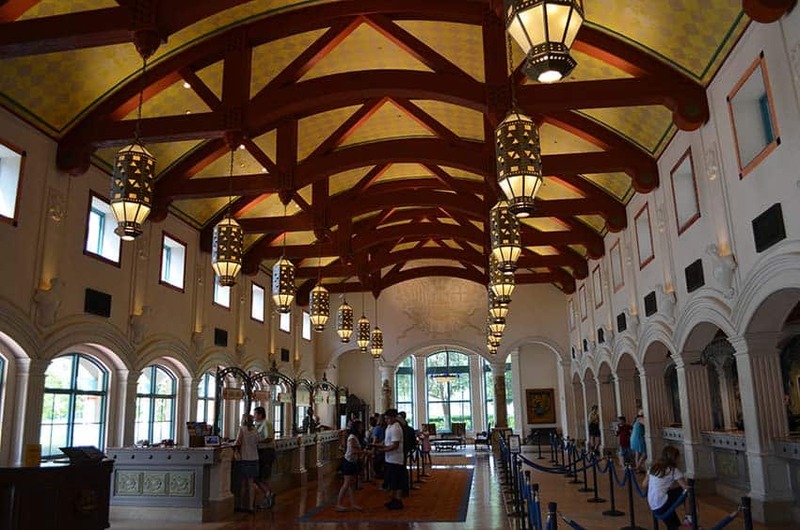 Besides the themes the resorts are pretty much the same with the rooms, food court, transportation, lobby, pools, etc. Your preference will depend on if you like Sports, Music or Movies as a theme. The best part about these resorts is the price and value. You get Disney Magical Express to and from the airport, Disney resort transportation, extra magic hours at the Disney Parks, and the ability to book your fastpasses 30 days before off site guests, and more. When you add all this up the value of staying on Disney property outweighs staying off Disney property. If you are looking for family suites, All Star Music has Family suites, but also look at Art of Animation for the next level up for Family Suites. The bus stops at all three All Star Resorts and I like Pop Century better because the bus is dedicated to that resort. If you are here during cheer competitions it can be very loud at night. This is my personal favorite value resort. It was the last one to be built so it is the newest value resort (except for Art of Animation). The room size is small and the beds are small. For a party of two that wants to save money this resort is great, but for a large family with older kids it’s tight. I don’t pay for the room upgrades to rooms with a view because the hotel is a motel style and people are walking by your door and window all day long. I close the drapes so everyone is not looking into my room and you really can’t see much except the walkway and railing. What is your favorite Disney World Resorts? Please share your favorite Disney World resort with us and our Disney fans in the comments below. 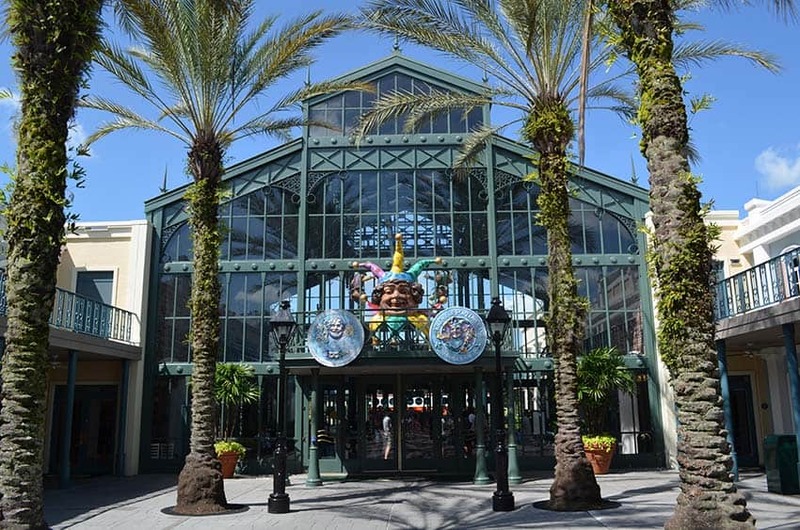 Sorry, but you were a little off the mark with your Port Orleans – French Quarter review. We stayed there last year and it doesn’t have a table service restaurant. It has a lounge that serves a few appetizer-like foods, but no meals. And it doesn’t accept the Disney Dining Plan. It’s mostly a bar. Also, while it’s true that FQ only has the one bus stop on the resort, you failed to mention that a lot of the time during the day, FQ shares a bus with Port Orleans – Riverside. That resort has A LOT of stops, not to mention the bus gets extremely crowded with guests from two resorts sharing it. And when you’re returning from the parks, the bus will go to Riverside before it goes on to French Quarter. It also shares the boat to Disney Springs with Riverside. The theming is for New Orleans, but there’s very little Disney theming. That can be a good thing or a bad thing. For those who are on a Disney burn out, it’s a good thing. For those who want as much Disney as they can get, it’s disappointing. Also, be warned – whenever a neighboring room flushes their toilet, you’ll hear it on your room. I can’t count how many mornings we were awakened at 7 am by the sounds of flushing toilets. We were on vacation, so we wanted to sleep in a little. Your neighbors, however, may be ones who like to catch those Extra Morning Hours at the park. We had problems with the Quick Service restaurant, too. They don’t pay close attention to their soda machines, so quite often either the ice was empty or the soda and you’d have to then go stand in another line at another machine. But a few times, all the machines were empty. I had to go to the lobby to ask the concierge for some ice. This resort, so far, was my least favorite of the ones we’ve stayed in, and one I will never stay in again. Thanks Peggy for all these great points. You are correct, for table service you would have to head over to Riverside and that’s a bus trip to get to the neighboring resort. I am glad to hear about the bus sharing. I think I must have been at French Qtr during a period when the Disney buses were just serving French Quarter and not also Riverside. If you have to do all the Disney Riverside stops in addition to French Qtr. that can be a long ride at times. Disney did just announce these Minnie Vans that can take you direct to your Disney destination for $20 and regular Lyft or Uber would be a good option if the bus is sharing resorts and you are pressed for time.